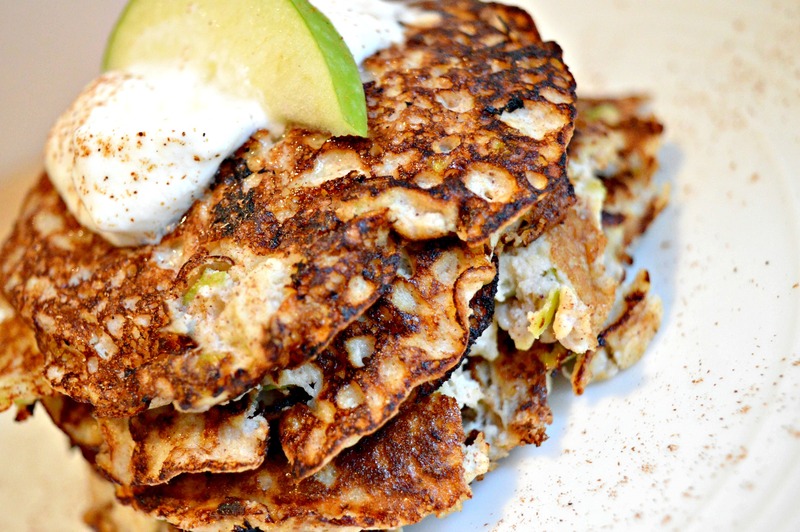 Flourless pancakes are a great low Smart Point breakfast idea. Not only do you get a decent portion for zero points, but they are exceedingly quick and easy to make! In a large bowl mix together the mashed banana, beaten eggs, grated apple and cinnamon. Using a ladle, drop a sixth of the mixture into one corner of the pan. The pancake should be around the size of a large mug and quite thin. Repeat so you have three pancakes on the go at once. 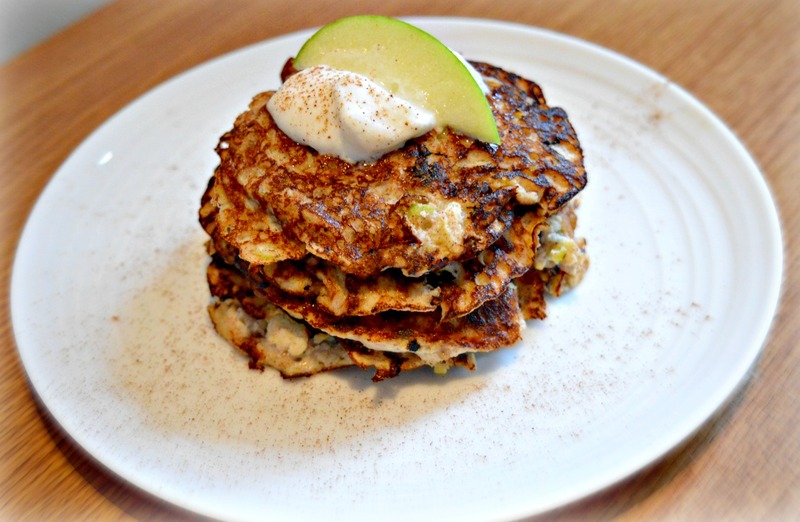 Serve with a tsp of yoghurt, a sprinkle of cinnamon and a slice of the apple you reserved. Made these this morning. Really tasty. I’m going to try adding some overnight soaked oats tomorrow and a drizzle of agave. Ooo lovely let me know how that goes! is this reciepe free on no count. I made these but couldn’t find any cinnamon so added some ground ginger instead….yummy yummy! So pleased you enjoyed Margaret! Sound lovely. Will be trying these! Had theses this morning, they were lovely. Delicious. I topped with a spoonful of honey for an extra sp but not really needed as the pancakes were sweet and juicy without it. OMG, a much improved version from the WW one, fantastic!! Have been looking for a nice zero flex breakfast and after finding out about your website this week, problem solved! Topped with additional frozen red fruits, defrosted and slightly warmed up to release juices and added to the topping. Will be trying more of your recipes as they look great! Thank you, keep it up!! I’ve just made these pancakes and added grated apples into it . They where different I put greek yogurt and fresh fruit fabulous. What a find! Just what I needed. A recipe that s easy , 0 points, sweet, filling and delicious! They are a fantastic and going to be a regular choice ! Thankyou x.